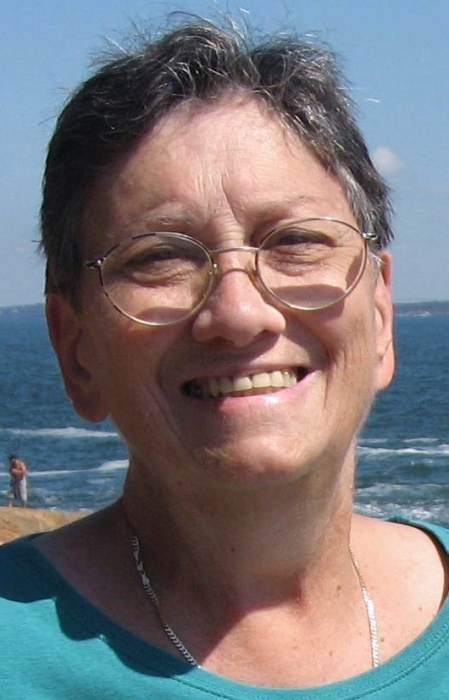 Eleanor (Lisa) Imondi-Clarkin (76), of East Providence, RI passed away on Wednesday, November 14, 2018 at Evergreen Nursing Home. Lisa was born on March 22, 1942, the daughter of Eugene and Theresa Imondi. Lisa is survived by her former husband, Robert M. Clarkin, her son, Robert C. Clarkin, her daughter, Sheila A. Clarkin, and many close friends, too numerous to name. Lisa held various jobs over the years. She was a telephone operator, an insurance billing clerk, an administrative assistant, a limo scheduler, and a teacher assistant. She loved to learn, beginning on her college degree at age 44. In her later years, Lisa volunteered in several capacities, greeting at the senior center, helping with literacy, reading to the elderly, and making and delivering sandwiches to the homeless. Lisa enjoyed hiking, biking, knitting, singing, and flowers. She was a member of the Appalachian Mountain Club and the Barrington Chorus. She received much joy serving at Trinity Presbyterian Church, where she was a member, especially being a tutor and friend to Liberian children at the church. Through many hardships, Lisa leaves a legacy of service with joy, gratefulness for God’s gifts and faith that nothing could separate her from the love of God in Christ Jesus her Lord. She will be greatly missed. Visiting hours will be on Monday, November 19, 2018 from 9:00 AM – 10:00 AM at Smith-Mason Funeral Home (398 Willett Avenue, Riverside, RI 02915). After the visiting hours, a service will be held at the funeral home followed by the burial at Gate of Heaven Cemetery, East Providence, RI.